The outward signs of aging have a way of sneaking up on you until one day you don’t feel like your outward appearance matches your inner youthfulness. At Arden Wellness Body Contouring in Hauppauge, New York, the medical spa team offers Botox® injections and the Juvéderm® family of dermal fillers to smooth facial lines and minimize wrinkles so you can look like yourself again. The highly skilled team customizes a treatment plan that helps you accomplish your anti-aging goals. Learn what Botox and dermal fillers can do to preserve your natural features. Call or request an appointment online today. Botox Cosmetic is an FDA-approved anti-aging treatment that temporarily diminishes the appearance of moderate to severe frown lines between your eyebrows and the crow’s-feet around your eyes. The effective ingredient in Botox is a form of a purified botulinum toxin that comes from a natural bacteria. When your provider at Arden Wellness Body Contouring injects the Botox solution into the areas around your eyes or between your eyebrows, the botulinum toxin temporarily paralyzes the muscles that caused the lines after years of making the same expressions. Fortunately, you’re still able to make natural expressions with Botox; it just relaxes your muscles temporarily and reduces their ability to contract as much as they normally would. Since Botox targets the underlying causes of your wrinkles, your muscles contract to a lesser degree than normal, making facial lines and wrinkles appear less noticeable. You may notice a significant difference in the appearance of lines and wrinkles in the treated areas around your eyes and forehead about 24-48 hours after a Botox injection. The results generally last up to four months, and you can schedule additional appointments at Arden Wellness Body Contouring to keep your younger-looking appearance year-round. Dermal fillers are gel injections that diminish wrinkles and lines associated with aging by plumping and lifting your skin. Dermal fillers work differently than Botox, as instead of temporarily decreasing muscle activity, fillers like Juvéderm add volume to your cheeks and lips while smoothing out wrinkles around your mouth and nose. The Juvéderm family of dermal fillers is the number one selling collection of hyaluronic acid fillers, a substance your body produces naturally. Since you produce less hyaluronic acid as you age, you may lose volume in different areas of your face. Juvéderm dermal fillers can help restore that lost volume, minimizing fine lines and the appearance of scars. 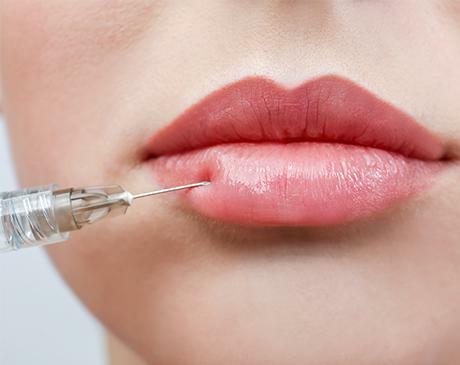 Dermal fillers are ideal for plumping up thin lips and can restore your face to a more youthful, natural-looking appearance without downtime. Let the skin care specialists at Arden Wellness Body Contouring customize a Botox and dermal filler treatment plan that helps you look your best and leave the outward signs of aging behind. Call for a consultation or use the online booking system to schedule an appointment today.